Not so long ago I needed bunting in a hurry – don’t ask why, but with a three-year-old girl in my life sometimes there’s ‘pretty’ big emergencies. I jumped online and discovered a free printable that I suspect I will be using again and again. Ruffled has made available gorgeous alphabet bunting that is free to download. Yes, free! All the letters come in different patterns and colors, including a heart spacer. Some commonly used letters have more than one pattern or color, so you can mix them up a bit. Simply print your desired letters, hole punch a couple holes in them and thread onto a ribbon or string. 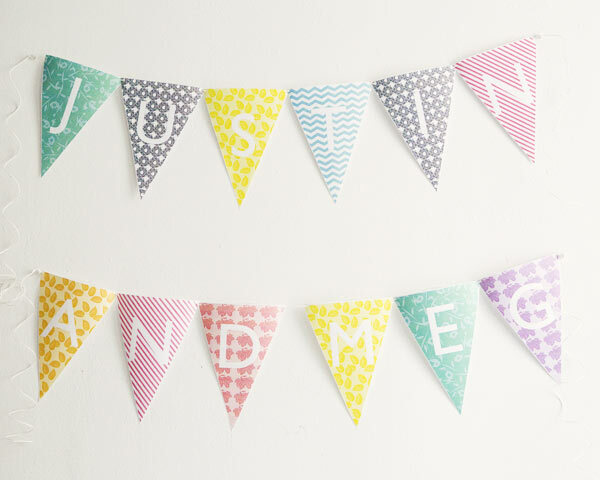 The end result is sensational and bunting is a very quick and easy decorating idea for parties or as a more permanent addition to your child’s nursery wall. 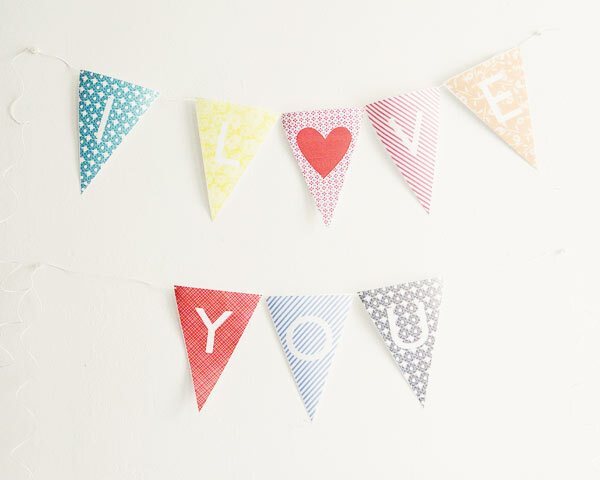 Visit Ruffled for the full set of alphabet bunting printables.